Sunday afternoon at the Mountain View Hotel – not the usual meeting place for Chinese voters – saw an encounter between the two Chinese candidates standing for the Federal election which will deliver the first ever Chinese woman to the House of Representatives in Canberra. A public debate was staged with an audience of local voters and media enthusiastically engaged. 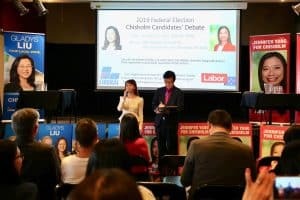 The event was also the first ever election debate to be run in Chinese! 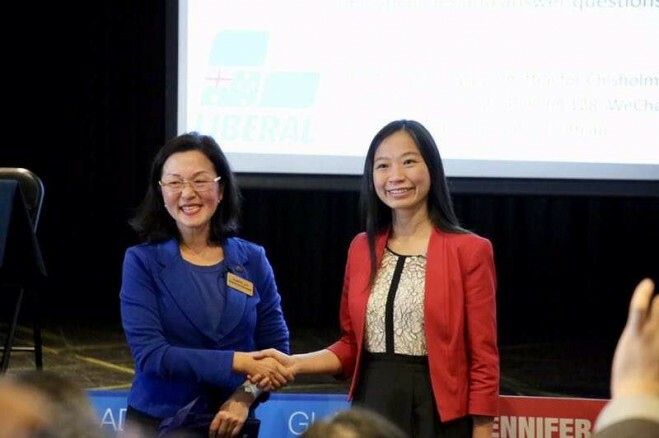 Gladys Liu, Liberal candidate and Jennifer Yang, Labor are both well known in Melbourne and are both of Chinese heritage, Gladys being a native Cantonese speaker and Jennifer Mandarin (from Taiwan). Both recognise the importance of communication and during the debate spoke Mandarin and English. 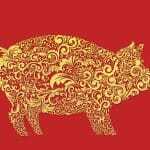 The electorate has a population of about 20% Chinese heritage (2016 census), although not all of these will be citizens, nevertheless an appreciation of language and culture and the different needs of Chinese families will be key. 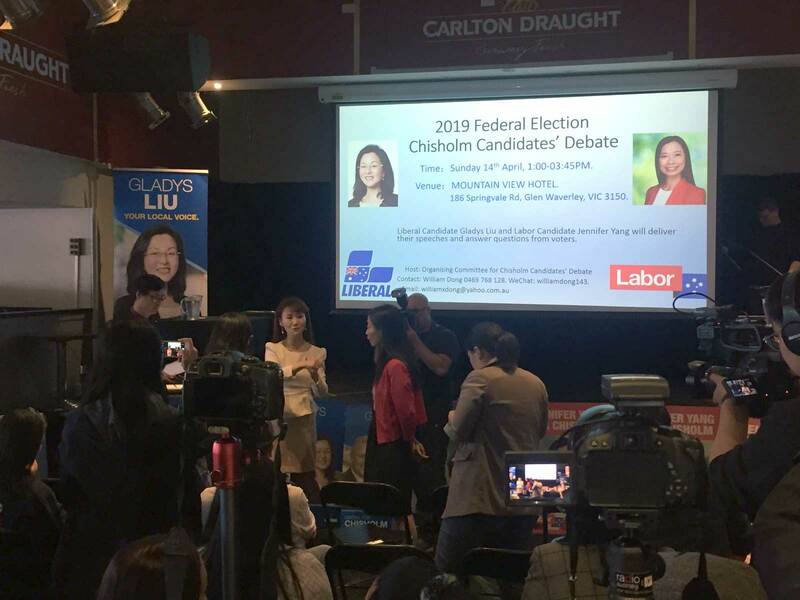 Questions asked gave us a clue as to the hot buttons of Chinese voters: employment for graduates; more funding for university research; immigration; health and education; taxation; climate change; infrastructure; and the challenge of two glass ceilings – being female and Asian. The economy was also a focus with both candidates disputing the claims of the opposite party, as you would expect. Importantly, a question I asked about the Australia-China relationship and what they can do to get it back on the rails, while foreign interference was also considered significant with both candidates supporting the law, while also recognising the importance of China. Both candidates demonstrated their credentials in Chinese culture and language. Neither of the candidates is from Mainland China, nevertheless the language and cultural familiarity will hopefully influence the government of the day as to the importance of both in managing our relationship with China and the action needing to be taken urgently once the government is sworn in. Who knows, a ministerial or parliamentary secretary position may be available acknowledging the vital skills one of these candidates will bring to Canberra. To reach the voters and the broader Chinese consumer market one thing is for sure, you need to do it in Chinese Translation. 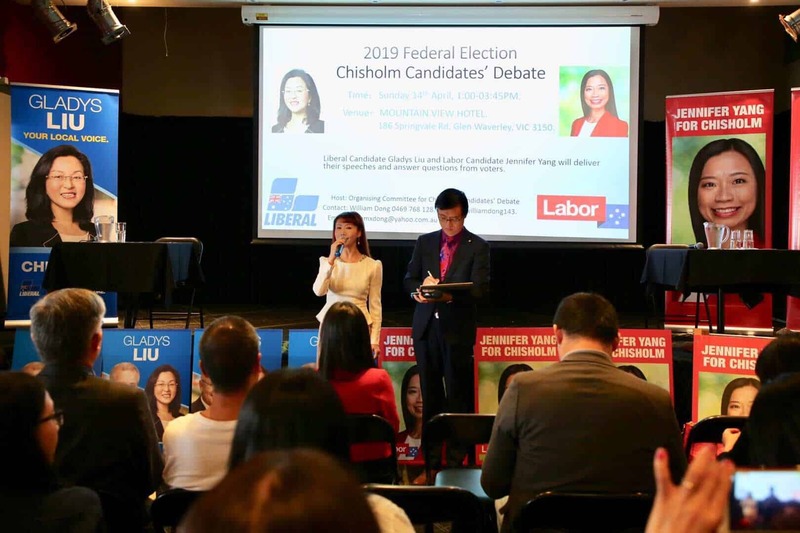 The debate held on Sunday acknowledged this and made sure that good Mandarin translation was delivered for questions, instructions and moderation – the entire audience was included. Thanks to our own Charles Qin for fulfilling this important role of Mandarin Interpreter.